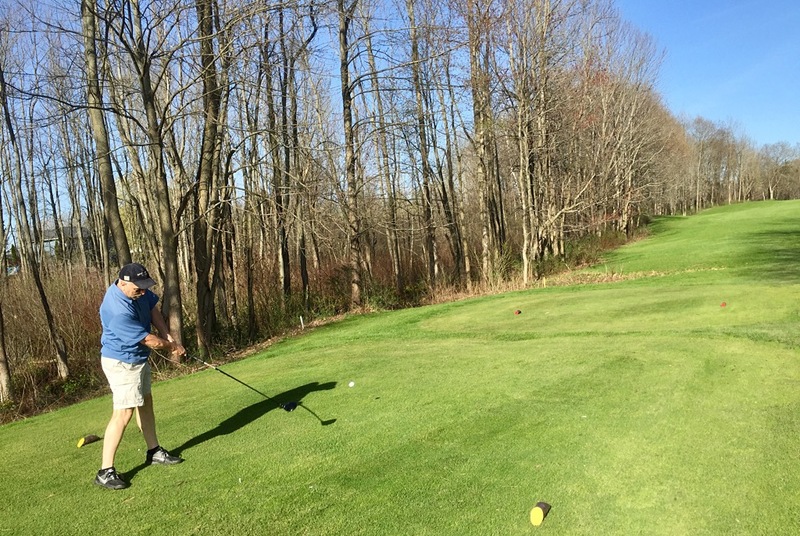 KP and I played nine holes Monday. Late afternoon, post-work for me. He had the day off. 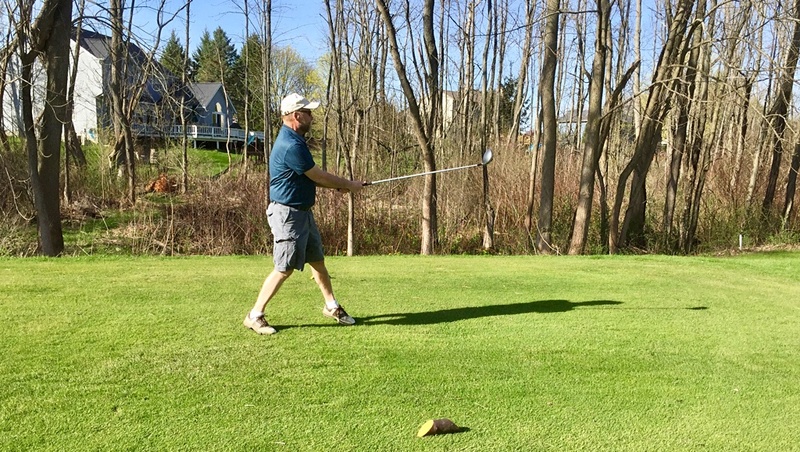 It worked out well, this start of our season at Radisson Greens, the beautiful course up near his house some dozen or so miles north-west of the library. It’s a good plan for this summer, I think. This is going to be our year, KP proclaimed at the first tee. 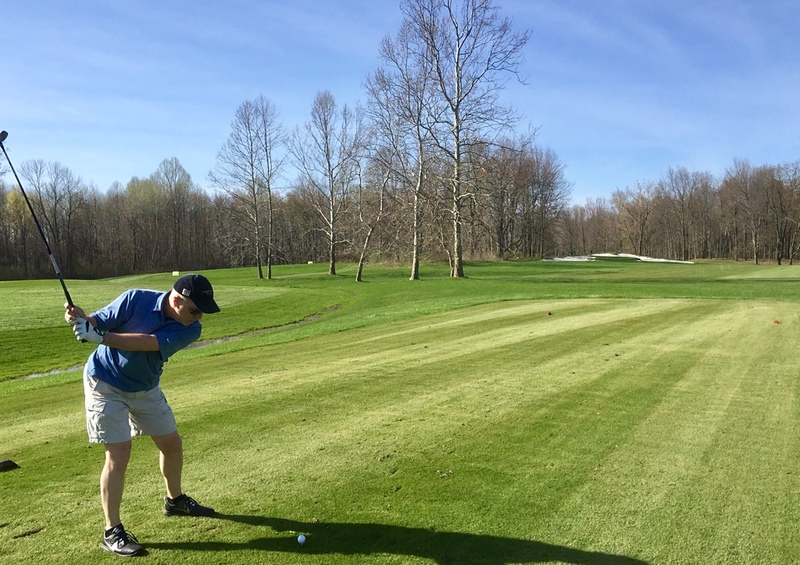 It sure felt like it, as my best buddy for the past 34 years started his season off with a par 5. 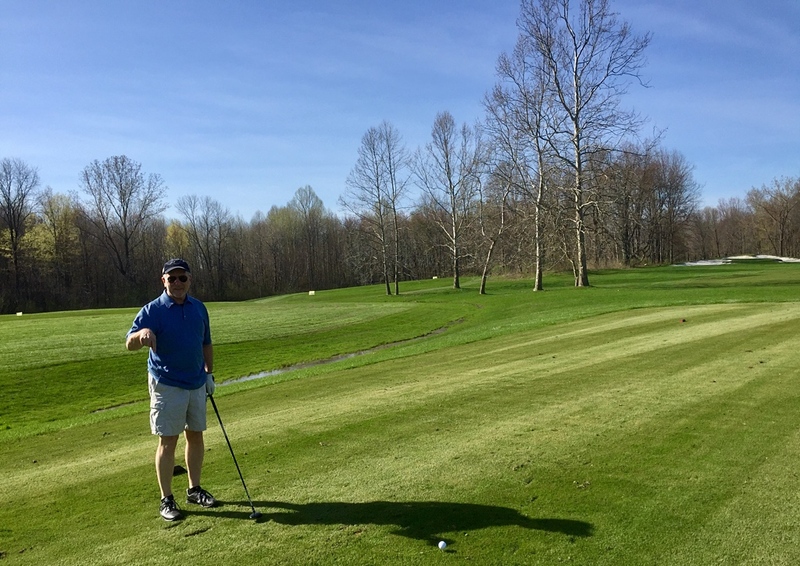 It was my turn to feel optimistic on the par-three second hole. 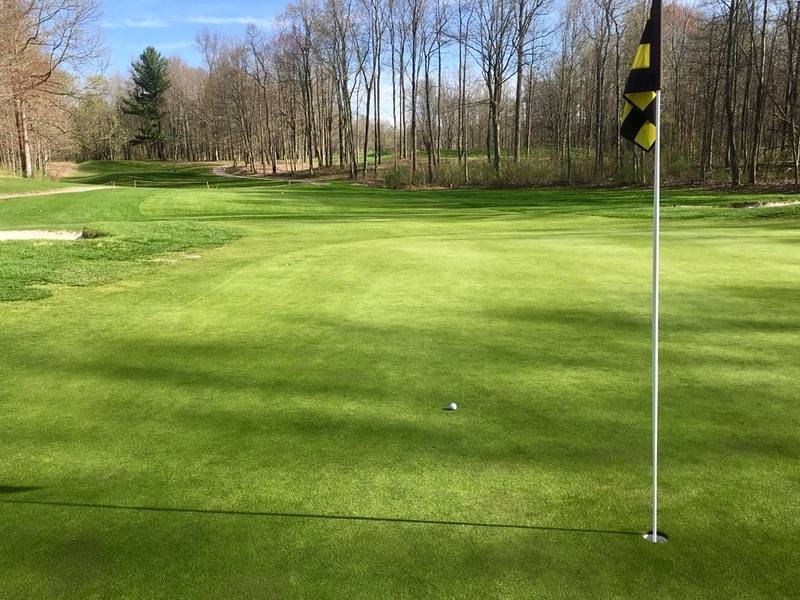 I hit my three hybrid just short of the pin, then drilled the eight-foot putt into the heart of the cup for my first birdie of the season. Yes, that’s pretty quick. 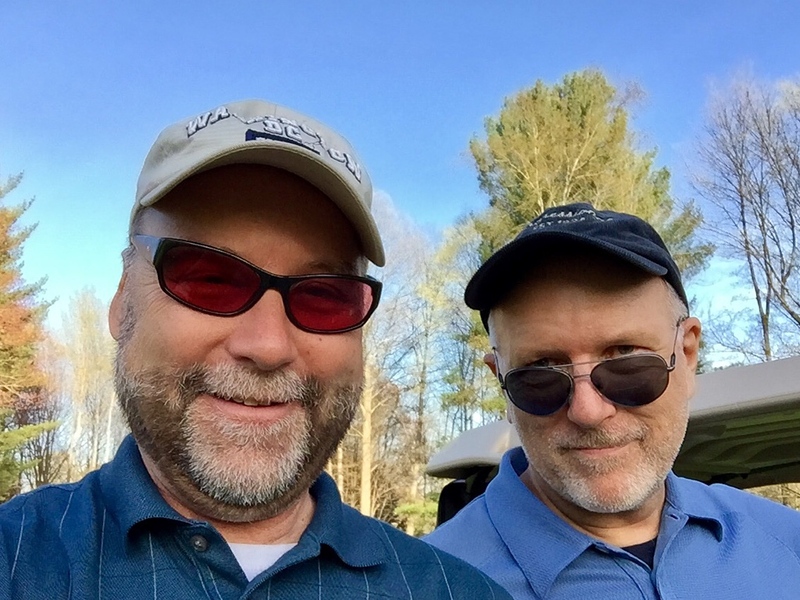 It was a good driving nine for both of us, really. I decided that I hadn’t started to over think my swing yet. KP did find the sand a bit much with his approach shots. I caught this shot on the ninth and final hole. We were happy with the way we played. The post-nine conversation at the bar over a draft beer was pretty fresh, too. You betcha this will be our year. 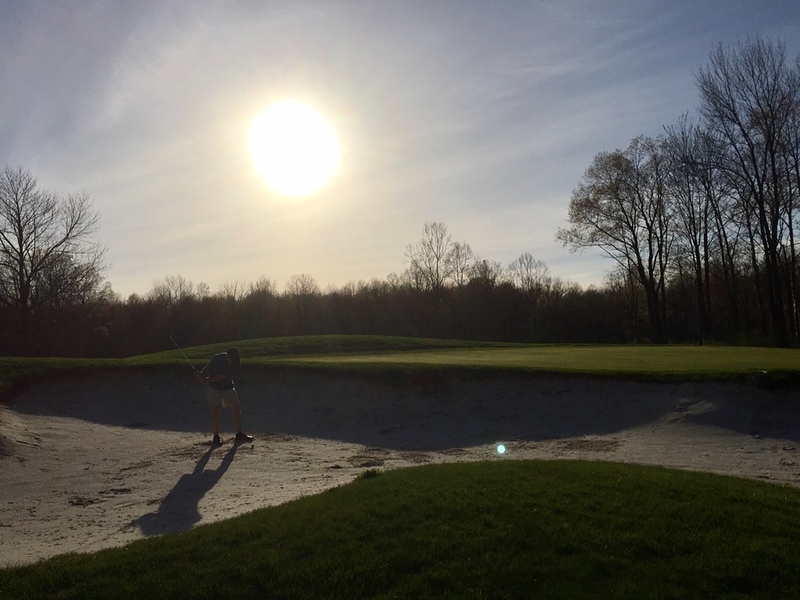 If you’re a golfer, is this going to be your year? What’s your favorite spring sport to play, and why? Which is your favorite photo, and why? I doubt this is going to be my favorite year, Mark, perhaps because I am not a golfer. My favorite photo is the close-up of you and KP, just because. I appreciate this non-golfer comment, Ann, just because. Hi Mark, it is SD,. I came to visit. I am glad you are able to start playing golf again. It is surprising to me how the trees in your area have not leafed out yet. Of course, you guys are way up there. We are facing our first 90 degree day of the year, this weekend. I guess we are way down here. i still haven’t learned, but maybe this summer? as for you guys, here’s to a great season! You can do it, still, Beth. This can be the summer! My husband loves golf so much he built a wee 3-hole putting course in our wee backyard last year. He planted the green last summer, and we weren’t sure it survived the snowmaggedon but it’s looking good so far! Way to go for getting a birdie on your first hole! Yes, that counts, Vonita. Yay for swimming.